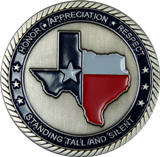 The Patriot Guard Riders of Texas is a 100% Volunteer, Federally registered 501(c)(3) non-profit organization which ensures dignity and respect at memorial services honoring Fallen Military Heroes, First Responders and honorably discharged Veterans. Lineage of the Patriot Guard Riders. It all started back in early August of 2005 with the American Legion Riders chapter 136 from Kansas. They were appalled to hear that a fallen hero's memory was being tarnished by misguided religious zealots who were protesting at funerals. They decided to do something about it. At the ALR 136 August meeting, Director: Chuck " Pappy " Barshney appointed members, Terry "Darkhorse" Houck, Cregg "Bronco 6" Hansen, Steve "McDaddy" McDonald, and Bill "Wild Bill" Logan to form a committee to strategize and form a battle plan to combat Fred Phelps and the Westboro Baptist Church. When they heard that the WBC was going to protest at the Funeral of Sgt. John Doles in Chelsea, Oklahoma, they established a Mission Statement, which included getting the families permission and contacting Law Enforcement and other Motorcycle Groups in Oklahoma. They agreed that their ultimate goal was to get veterans and motorcycle organizations involved in every state so that each state could handle the situation internally and not rely on other states to do the job. They were very successful in mustering riders to honor Sgt. Doles and limiting the intrusion by the WBC. After the Chelsea Mission the Kansas American Legion Riders wanted all Motorcycle Groups/ Organizations to be recognized. On the 18th of October 2005 the Patriot Guard name was established and was announced on the 27th of October 2005 to the 100 + motorcyclists present at the Tonganoxie Mission to Honor Spc Lucas Frantz. Following the missions in South Haven, KS and a later ride in Edmond, OK, Jeff "Twister" Brown, from Broken Arrow, OK, decided to do more than just ride. He saw a need to get a strong nation-wide communications and recruiting program in place. He contacted the original AL riders in Kansas and told them of his plans. They openly shared their experiences, suggestions, and encouragement. Within a matter of days, Brown had formed the Patriot Guard Riders and began a nation-wide campaign to garner support. Similarly, after a mission ride in Greeley, CO, Hugh Knaus and Jason "Waldo" Wallin answered the call of the newly formed Patriot Guard Riders, becoming the national webmaster and communications director, respectively. Within a matter of days, a mission statement was refined and a website was built, rebuilt, and launched. A call immediately went out to individual riders and groups across the nation to join and ride with the PGR. State Captains were recruited to work more closely with the members in their area. The growth has been phenomenal. Within a week their membership included many riders from associations like the VFW, American Legion, Rolling Thunder, ABATE, Combat Vets Motorcycle Association, Intruder Alert, Leathernecks Motorcycle Club, and almost five hundred individual riders. To the credit of Hugh and "Waldo", the PGR website had received almost 566,000 hits in the first two weeks! Patriots from all over America and several foreign countries responded. Emails were pouring in from people wanting to support and join the newly formed PGR. So, that's a pretty concise picture of where we came from and where we are today. A great deal of credit goes to that small group of Kansas American Legion Riders, but none of this could have ever been accomplished without the patriot member who takes time out of their life to honor a fallen soldier and their family. The Texas Patriot Guard Riders hold no political agenda, just a strong desire to honor those that are serving or have served in the military. When invited by family, we attend funerals and interments, participate in standing a flag line, and provide a barrier between the family and any person or group which might show up to disrupt these solemn services. We also participate in numerous parades, festivals, and gatherings, honoring active military members and veterans. Along with our support of our military and veterans, we also proudly support law enforcement, fire, and EMS as each of these individuals put their life on the line everyday so each of us can enjoy the safety and security right here at home. The Patriot Guard Riders is a 100% Volunteer, Federally registered 501(c)3 non-profit organization which ensures dignity and respect at memorial services honoring Fallen Military Heroes, Honorably Discharged Veterans and First Responders. The PGR is the Hell's Angel that has held a flag for three hours in honor of a fallen solider. The PGR is the Christian Motorcyclist Association rider that is standing next to him. The PGR is the elderly lady with a flag draped over her walker that is standing next to him. The PGR is the biker that will rider over 300 miles, praying to God to give him strength, so he can make it in time to have the honor of standing the flag line for the wake of a hero…Alone. The PGR is having 250 bikes show up the next day in a town of 3500 people: Some riding hundreds of miles, staring at 0400…In the rain. The PGR will be humbled when the color guard comes out to shake his hand for standing there alone, and tell them with confidence there will be more tomorrow. The PGR is spending hours in a flag line in 90 degree heat, only later to find out the son of the guy standing next to you had committed suicide 6 months after returning from Iraq. The PGR are the couple that served lunch to 286 bikers, refusing all donations. They are the grandparents of the solider that killed himself. The PGR is "freebird57" from IL who drives around in his van, loaded with 135 flags and coolers of water and supplies for those standing the line along with him. The PGR is the Viet Nam vet that was spit on when he returned, or the lady next to him whose brother was in the Battle of Bulge. Or it is 12 year old Taylor Batten, who had her first heart surgery at the age of 6 months. Taylor has had many surgeries in her past and will have many more in her future, which may not be that long. She is now a PFC USMC, and an honorary MI PGR Ride Captain. The PGR is the biker that will ride over 200 miles in rain so bad he can barely see, and rides only by the taillights of those ahead of him, because the protestors will be at the funeral of PO1 Jerry Tharp in Galesburg IL. And he will not only consider it a privilege to have protestors scream in his face, shielding them form the family, but will consider it one of the proudest days of his life. And there are 329 people standing next to him feeling exactly the same way. The PGR is the rider who could not think of any place he would rather be at the 11th hour of the 11th day of the 11th month, than to stand at the gravesite of a friend's father, on the anniversary of his passing. A father who earned the Silver Star in Korea for gallantry above and beyond the call of duty: A father whose family had no ideal what he had done and the award he had won, until they went through his belongings after his death. And when the organizers of this parade ask how many PGR will be there, I will tell them there might be 100, but I will only guarantee one. And if there is an Honor Mission for a fallen hero that I should attend, I will not be there either. Being a PGR is not fun. It may well be one of the hardest things you will ever do. You may have the mother of a fallen solider cry on your shoulder, thanking you for being there. You may have a Marine, who has escorted his buddy from Afghanistan, stand at attention and salute you, with tears streaming down his face. Being a PGR may not be fun, but you will never stand with better people. It may be one of the most rewarding things you will ever do, and without a doubt, it will change your life forever. If you do not fit in anywhere in the above, or you have another agenda, you might reconsider if you are in the right place. If you do, it will be my honor to stand with you anytime, anywhere. The PGR is not a service group, we are not lobbyists. There are many fine organizations that do this work, and we heartily encourage your support. 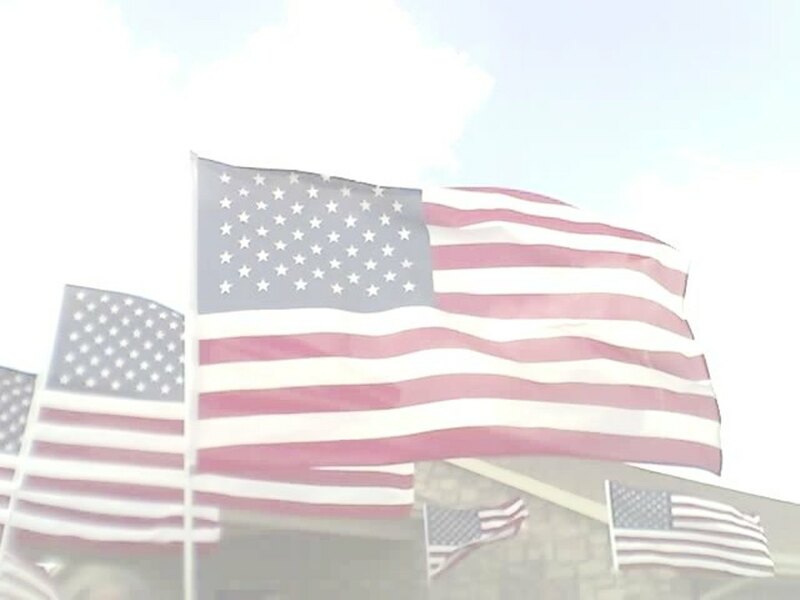 If you share our strong desire to honor those who have sacrificed so much and would like to join the Texas Patriot Guard Riders, please click the link and go to our National WEB site and sign up now. 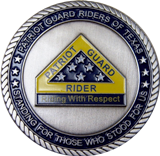 http://www.patriotguard.org Then contact the appropriate Texas Region and sign up there. Click On The Image To The Right To Send Your Comments Regarding This WEB Site.